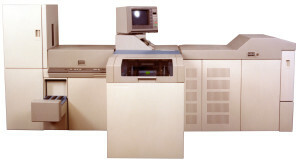 March 1984: Xerox 9900 duplicator with computerized programming, that enhanced productivity for central reproduction offices or commercial printers. I loved this machine. Was ACT trained under the threat of scratching the belt during pumicing and cleaning would lead to job termination. Lol I never damaged one, hated cleaning those croutons tho! Looked forward to the 5090 and those organic disposable belts!!! 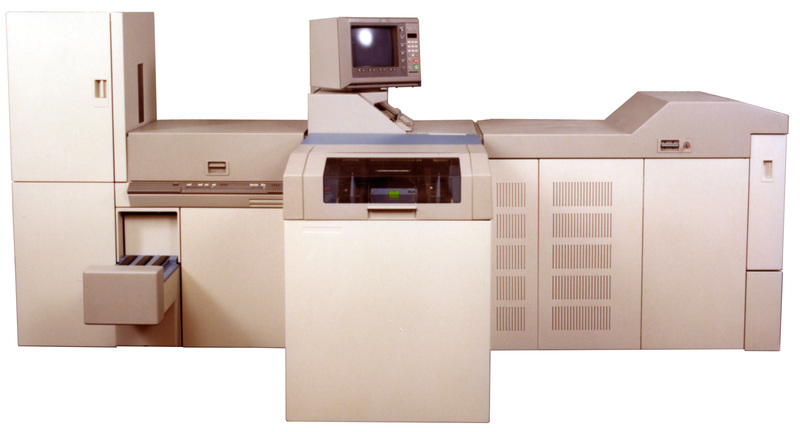 Of all the machines I serviced during my Xerox career I enjoyed working on this one the most. If my memory is correct Mellon Bank downtown Pgh had one and ran 1 million copies a month. month in month out. I joined Xerox as a PST working on 1045’s and was promoted to FST a year later. I remember going to Leesburg for training on this and the other centralized products (9400 & 9500). 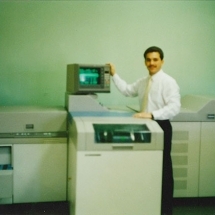 I loved working at Xerox back then (1984 – 1996).